This month I’ll be posting weekly in the effort to get all these reviews up- my self-imposed Oscar deadline for my top ten is fast approaching and I still have a handful of films left from last year to catch up with. This latest group is a mix of mostly good, a couple really good, and one dud. Enjoy! Glenn Close stars in this minimal drama that almost plays out like a chamber piece. As Joan Castleman, she’s been the long suffering, supportive wife of an acclaimed author, Joseph Castleman, whose books have been bestsellers for the last 35 years, and who just won the Nobel Prize for literature. But there’s a big secret lurking underneath their so-called perfect marriage- it turns out Joan was the one who wrote all his novels. As the Castlemans fly to Stockholm for the Nobel Prize ceremony in 1992, Close takes us through all of Joan’s hidden emotions, as closeups reveal her to be the world’s most talented liar, a woman who can be believable as the supportive wife of an egotistical, self-indulgent man, taking care of him and cleaning up all his messes while standing by smiling as he belittles her own writing ability while giving her credit for being his “inspiration” and “muse.” But under the surface she’s fuming and furious. The move belongs to Close, who inhabits this woman on the edge of boiling over, and also to Jonathan Pryce, who’s wonderful as the arrogant, failed writer who has no problem taking credit for his wife’s words and basking in it, while stewing in his own resentment of her talent and taking it out in continual affairs. The movie itself is small and contained, taking place mostly in one hotel suite over the long weekend, with some flashbacks to the Castlemans meeting in the late 1950’s and seeing how they began to perpetuate this fraud (Joan not only wrote his books but was responsible for getting him published in the first place). It’s a tour de force of acting, a two-hander that makes the most of both actors’ longtime professionalism. Glenn Close makes it look easy- so natural as the meek and quiet housewife who protects her husband’s reputation, yet so commanding as she bursts through the screen with her righteous and earned indignation and searing takedown of the man she secretly detests and outwardly adores. It’s a powerhouse performance, perhaps one of her best. Will a baby make everything better or worse? It’s really a shame Tamara Jenkins has only made three films in the last twenty years. Her debut film, 1998’s Slums of Beverly Hills was an acutely observed comedic gem, 2007’s The Savages another seriocomic dramedy filled with authentic observations of real life, and now, Private Life fits neatly in her oeuvre of real people dealing with life size problems that befall average families and couples. Even if your life is not that of middle-class New Yorkers Richard and Rachel Grimes, you recognize their pain, their feelings, their comforts. As a career driven couple in their forties they are now desperate to have a baby and have spent the last few years in fertility treatments of all kinds, as well as on the endless waiting list for adoption agencies. The angst-ridden trials and various failures have wreaked havoc on their marriage, but their genuine desire to figure out some way to make this happen now has them taking the risk of asking their niece, 25-year-old college student Sadie (Kayli Carter) to be an egg donor to increase their chances of successful IVF. As Sadie is drawn into their obsession and becomes desperate to please them, the strain of infertility pressures the lives of Richard and Rachel’s family members as well as themselves. As realistic as this film is regarding the struggles of childless middle-aged couples, it’s never a downer, as Jenkins’s knack for sharply realized human behavior plays itself out in the reality of everyday emotions, moving naturally from humor to sadness to angst and back again to warmth amidst familial rapport. 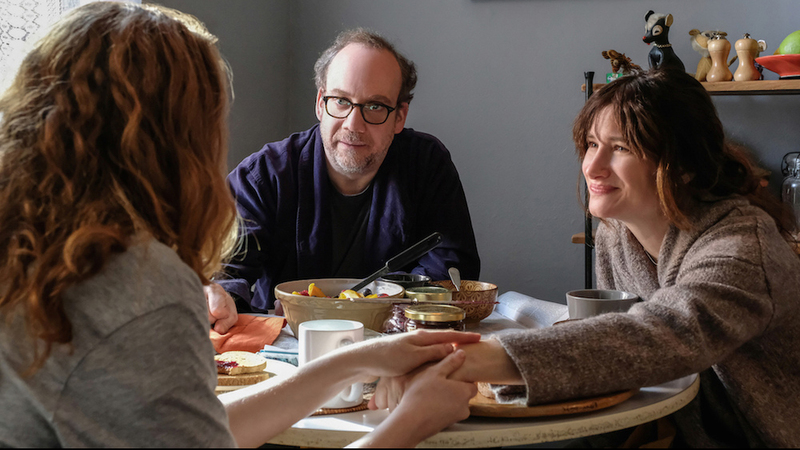 As hard as it’s been on their marriage, this is a couple that fits together like a glove, and Paul Giamatti and Kathryn Hahn are so perfectly matched it’s as if their relationship and dialogue fell out of the sky. We feel we know them, as well as Sadie and her parents (her mother played by Molly Shannon in pitch perfect concern/hysterical mode). The movie may be a little long and meandering, but that only helps it to feel ever more realistic and unformulaic, like stepping into someone else’s shoes. As far as I’m concerned, Tamara Jenkins hasn’t missed once, and I only want her to get more tries at bat. A Private War is a biographical film about a reporter that feels much more authentic than most journalism movies. This could be because of director Mathew Heinemann’s background in documentary filmmaking with a journalistic bent- he’s made films about the American healthcare system, Mexican drug cartels and the Syrian uprising- he understands the seriousness of purpose and the mission of truly dedicated journalists to uncover and relay the truth. Marie Colvin was one of those journalists- an American reporter who worked for the Sunday Times in London as a war correspondent and spent twenty-five years traveling to active war zones all over the globe, risking her life and putting herself in as much grave danger as any citizen or soldier embedded in the areas she visited. Rosamund Pike plays Colvin in a career-best performance- practically unrecognizable as she physically transforms herself every bit as much as Christian Bale does in Vice, but without the aid of makeup or prosthetics. Changing her walk, her voice, and way of carrying herself, she inhabits this woman so completely you forget who you’re looking at half the time. As the hard-drinking, hard-living Colvin, who’s addicted to the chase and riddled with post-traumatic stress from her time in war zones (she even lost an eye from a 2001 explosion in Sri Lanka), you respect her dedication to the job even if you can’t manage to understand how anyone could want to do it. The film follows her as she teams with a loyal photographer (Jamie Dornan) to cover the Iraq, Afghanistan, Libya and Syrian conflicts from 2001-2012, on the frontlines of every major international conflict until finally, tragically prevented from doing so. Taking us inside the world of the fearless and dedicated war correspondents who risk everything to cover the stories the rest of us don’t see, this film gives you a new appreciation for the those who give their lives to bring us the truth, and a sense of hopelessness when you contemplate what kind of a difference these fiercely courageous citizens are making in the world, if any. Widows is not what you’d expect. A supposed heist film based on Lynda La Plante’s 1980’s BBC miniseries is not really a heist film at all (the heist only takes place in the last 15 minutes and until it happens we don’t even know what they’re planning to do). Instead, it’s an unconventional thriller starring a large ensemble cast that has a lot more on its mind than any one heist. Viola Davis stars as Veronica Rawlins, a woman whose criminal husband (Liam Neeson) dies in a job gone wrong. She is then threatened by the man whom Harry Rawlins stole from and ordered to pay back the debt herself, so she gathers the other widows from Harry’s gang to help her plan what would have been his next job. It sounds simple enough, but the film is nowhere near that concise. 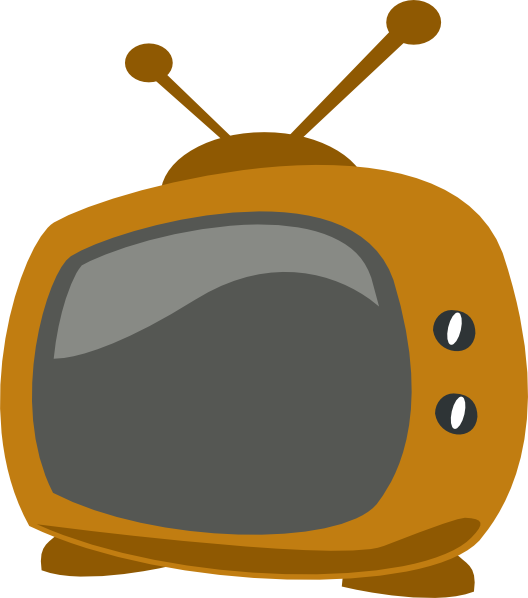 There are issues raised in this screenplay involving racism, politics, class conflict, inner city poverty, prostitution, corruption and greed. There is no scene where at least one of those underlying themes isn’t hinted at or explored with one of the many characters, from the other widows (Michelle Rodriguez and Elizabeth Debicki) to the corrupt candidate running for city council and his father (Colin Firth and Robert Duvall) to the rival gangsters after the money and trying to move up from the criminal underworld to the criminal political world (Brian Tyree Henry and Daniel Kaluuya). All of these conflicting issues and conversations make for an intelligent and far more interesting thriller than anyone would anticipate, even if the movie bites off more than it can chew, by bringing up so many issues with so many characters, that it effectively shortchanges many of them. Still, Steve McQueen’s surprisingly straightforward direction makes this a not inaccessible or dull film, and the level of ambition and strong performances (especially from Davis and Debicki) in a genre movie of this kind are so unique that it makes the experience worthwhile. Is it possible to make a lighthearted action movie about underwater fishpeople warriors, and yet also make it a two-and-a-half hour epic? Well, you can certainly try, but sitting through this thing will guarantee you come out of it at least a 50% dumber. James Wan gives it his all (he really throws everything at the screen), but this extra long, extra dumb origin story of Aquaman, King of Atlantis is one of the silliest, most ridiculous superhero movies you’ll ever see. But at least it knows it, right? Well, sort of. The movie plays up a tongue-in-cheek tone, letting us know that we’re all in on the joke together, as the half human, half Atlantean Arthur Curry (Jason Momoa) is very much a dudebro who spends his time half on the surface, half underwater rescuing submarines from pirate attacks. Then we get a little Thor drama, as his evil half-brother Orm (Patrick Wilson) wants to take over Atlantis and launch a war on the surface people, so Arthur is summoned to the sea to rescue the kingdom, take his rightful place on the throne, and save the world. He gets a love interest in Amber Heard, who plays Princess Mera, and a loyal godfather type in Willem Dafoe, who teaches him how to use his seapowers, but the biggest problem with the movie is that it goes on and on and on. It gives you your money’s worth if what you want is sheer spectacle, as Wan zips through locations for every action scene, from a submarine to the neon-colored glowing lights of Atlantis to the Sahara desert to an Italian seaside village, to the apparent forest in the center of the Earth’s core (really), back to the sea again. And he throws in crab people and water monsters on top of Atlanteans and Power Rangers looking assassins in armored robot suits. But my god is it relentless. I think I was overpowered and done with it by the 90 minute mark, only to have it throw another hour’s worth of action scenes at me. The one thing I’ll say is that Jason Momoa is fairly likable and has a goofy, charismatic screen presence- we always know he’s laughing with the audience, which is necessary to carry all this nonsense off, especially through the endless running time. A 90 minute, nutty cartoon might have been bearable, but this epic treatment for what amounts to a live action, but mostly animated, underwater war movie is mindnumbing. Although, who knows, if you’ve always wanted to see Oscar-nominated Willem Dafoe mount a seahorse and shout “Surface dwellers! To arms!” this may be the movie for you. So, full disclosure here. I have never seen a single Transformers movie. Not one. So why did I decide to give this one a shot? Well, for one thing, I knew it wasn’t directed by Michael Bay. And second, I knew that it was a prequel, so there was no worry that I’d be lost. So having said that, how was the experience of sitting through my first Transformers film? Well, it was surprisingly sweet, actually. Director Travis Knight comes from animation, having directed Kubo and the Two Strings, and you can sense the touch of an experienced animation director all over this movie, which plays out like a cheery live action cartoon, more of a “girl and her pet” coming of age story than a wall to wall action movie. In fact, the action in this is not wall to wall at all, there are only two extended action scenes that I can think of, both relatively brief and efficient (but well animated with CGI of course). After a prologue that recaps the Autobots vs. Decepticon battle in space, Bumblebee is sent to Earth and winds up in 1980’s San Francisco, having lost his memory and vocal chords, hiding out in a junkyard as a beat up yellow Beetle. Enter 18-year-old Charlie (Hailee Steinfeld). Still grieving the death of her father and wanting to fix an old car to relive their father-daughter bonding moments, she winds up with a brand new robot friend. Yes, this is the classic E.T./How to Train Your Dragon/Iron Giant formula at work and it follows just about every step in that predictable blueprint, but thanks to Knight’s sunnily optimistic touch, it has such a doggedly cheery, earnest, heart-on-your-sleeve attitude about it that I found it winning me over practically through sheer force of will. Steinfeld is an immensely appealing screen presence and hey, Bumblebee is a pretty cool friend to have on your side. There’s not one note in this movie that isn’t telegraphed, and it is in fact so openly cheesy that it boggles the mind, but it embraces its cheesiness wholeheartedly, with every goofy cartoon character in on the fun and enjoying themselves along with Bumblebee, who’s just as lovable as all those previous movie alien friends. The kinds of pleasures it delivers are familiar and of the guilty kind, but in the end, pleasures are pleasures and I have to admit I fell for it. February 1, 2019 by Ariel Shavonne.